When it comes to cloud computing, there may still be business owners who are hesitant to take advantage of it. This may be due to major security breaches reported in the news, or just that the idea of hosting their sensitive data off-site doesn’t sit right. However, cloud computing security has come a long way over recent years; consider these three ways that the cloud enhances IT security. If the only thing keeping a hacker from accessing your cloud data is a flimsy password, then you have good reason to worry. With the shortcomings of password security becoming increasingly obvious, many cloud providers have added advanced authentication options to their security protocols. For example, with the aid of big data analytics, unique account profiles can be created that take into consideration information gathered from several sources, like device usage and user behavior. This improves account security and provides the end-user with greater transparency. Region blocking has always been a helpful security tool utilized by cloud computing in order to block users from accessing your data from parts of the world that are notorious for harboring hackers. Now, advancements in cloud computing security, like global threat intelligence technology, can further identify threats from around the world. Every business has different data needs and cloud computing allows companies to pick and choose which cloud-based security solutions to utilize, at a price that’s significantly less than having to purchase the solution outright and implement it in-house. Cloud providers are making these security solutions available as a service that can be managed by a third party, freeing up your staff to not have to worry about overseeing network security while giving you peace of mind that your data is being watched over by trained IT professionals. Of course, it also depends on the cloud solution your business utilizes. 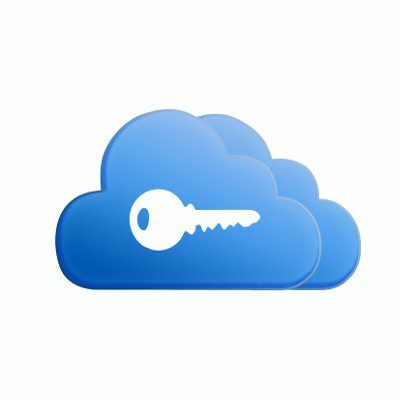 If your cloud provider isn’t security minded, a vulnerability outside of your control (like some other business’s negligence or poor passwords) could leave your data out in the open. We urge ON businesses to be careful and to reach out to the experts at Tektonic if there are any questions or concerns. With advancements like these in cloud computing, enterprises should view the cloud as a major asset for IT security, not a hindrance. To find out about additional ways that cloud computing can improve your company’s IT security, give us a call at (416) 256-9928.